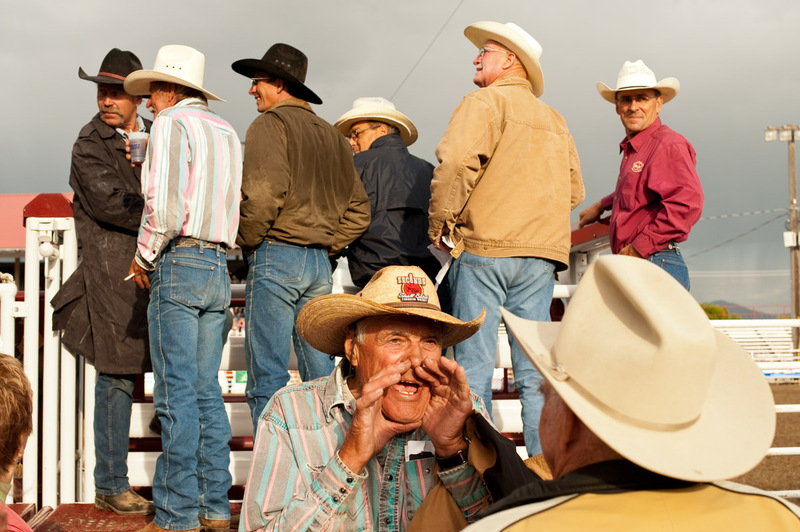 That’s Benny Reynolds, world champion cowboy, having fun with a friend at the Dillon, Mont., senior rodeo back in 2009. Mr. Reynolds passed away Friday at age 77 while loading hay at his ranch near Twin Bridges. One of Sports Illustrated’s 50 greatest Montana sports figures of the 20th century, Reynolds was inducted into the Pro Rodeo Hall of Fame in 1993, and a career that spanned six decades includes honors like Professional Rodeo Cowboy Association Rookie of the Year for 1958, All-Around Champion in 1961, and more than 300 belt buckles. Plus, he was a heck of a nice guy. “He had to be every one of our heroes when we were growing up,” Jim Croff, president of the Montana Pro Rodeo Association, is quoted as saying to the Great Falls Tribune in 2010. What better way to be remembered?